Network protocols TCP / IP, HTTP, SMTP, FTP, DHCP, DDNS, NTP, UPnP, RTSP, RTMP, etc. Pan and Tilt monitoring: Pan 355Â°+Tilt 120Â°, sliding screen manually enables remote control of the rotation of camera and real-time monitoring. Multi-Platform:Support Android/iOS mobile tablets and computers. Two way talk:Build in microphone and high quality audio speaker, it can do two way talk online between camera and mobile phone. 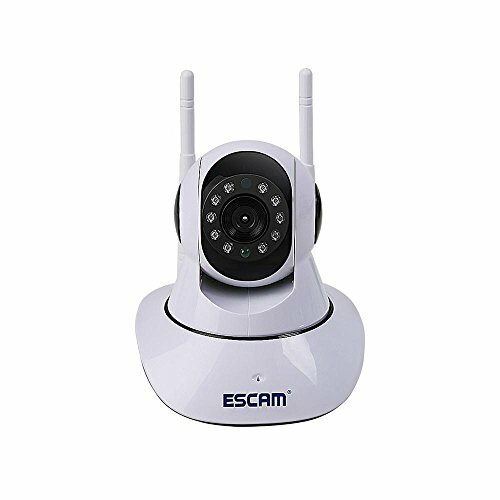 Dual Antenna:dual antenna design, the signal is more stable,1 million high-definition infrared PT PTZ cameras, security clearer. If you have any questions about this product by OXOQO, contact us by completing and submitting the form below. If you are looking for a specif part number, please include it with your message.